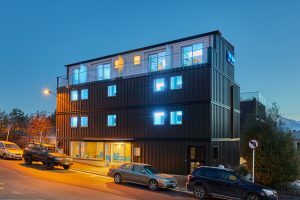 Stockholm – November 13, 2018 –mi-pad Queenstown, a newly opened property in Queenstown, New Zealand, has bolstered its reputation as the country’s first smart hotel with the implementation of ASSA ABLOY Hospitality Mobile Access. “With the nature of hotels being a 24/7 operation, mi-pad seeks to implement services that operate based on a guest’s unique schedule and preferences,” said Stephen Borcoskie at mi-pad Queenstown (www.mipadhotels.com). The global leader in hotel security technology for nearly 40 years, ASSA ABLOY Hospitality is a part of the ASSA ABLOY Group, a publicly listed company with 47,000 employees. With products installed in properties all over the world, securing millions of guestrooms globally, the company’s comprehensive range of security and technology solutions is comprised of VingCard electronic locks, Elsafe in-room safes, integrated software platforms and advanced mobile access solutions. 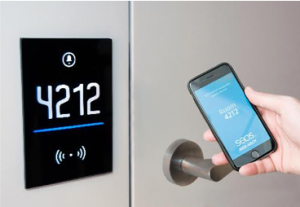 Its latest innovation, ASSA ABLOY Hospitality Mobile Access provides advanced security for hotels and augments the stay experience for today’s tech-savvy guests. Operating with secure Seostechnology, Mobile Access allocates guestrooms and generates encrypted digital keys over a secure channel. This allows users to bypass the front desk and access their assigned guestrooms via their personal smart phones and watches. In order to provide best-in-class customer service, ASSA ABLOY Hospitality offers support in more than 166 countries worldwide. For more information, please visit www.assaabloyhospitality.com.